We enter the living room of the farmhouse where our Meeting gathers every Sunday for worship. I settle into a straight-backed chair softened with an ivory sheepskin, close my eyes, place my feet flat on the floor, rest my open palms in my lap, and breathe in and out deeply. The woodstove crackles and hisses, the electric tea kettle in the kitchen clicks off, friends shuffle in and find spots on the couch and chairs arranged in a circle. Meeting for Worship has begun. Why, as a friend new to Quakerism recently asked, is it called Worship? She wasn’t asking how we worship, but rather, who/what it is that Quakers worship. I’ve wondered that, too, and didn’t have an immediate answer. 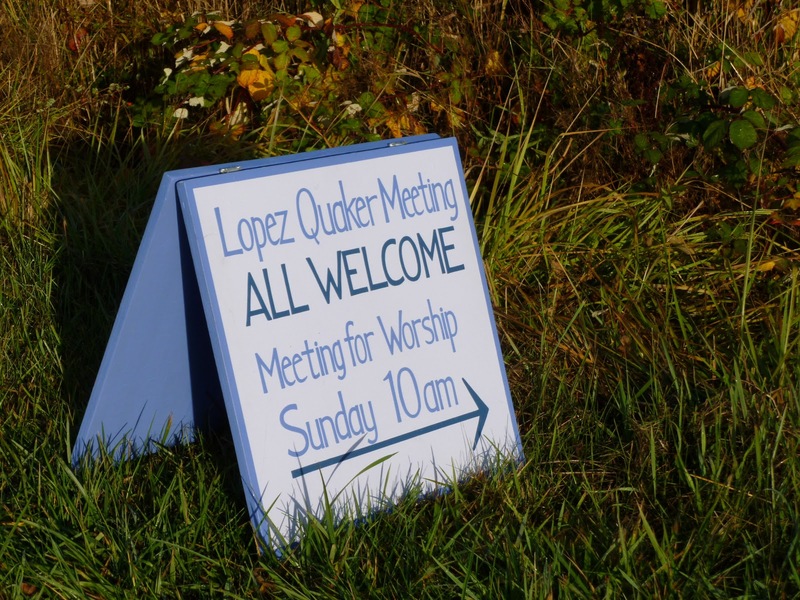 The sitting in silence of an unprogrammed Quaker Meeting for Worship bears little resemblance to the liturgy, hymn singing, and communion of the Lutheran worship services I grew up in. To prepare for confirmation when I was twelve, I learned the meaning of the Lutheran order of service. Many parts of that service were designed specifically to praise and honor God. I’m no scholar on Quakerism, but in my own study of this faith tradition, I’ve not found an explanation of how the word worship came to be used to name our coming together in silence (perhaps others reading this blog know this history and can share it with me). I suspect that early Quakers were comfortable with use of the word that typically describes reverence and praise for a deity. But for my friend and me, and many others I know who attend Meeting for Worship, something else is going on during that hour of silence. Those terms, communion and holy relationship, speak to me of my experience of worship, whether at the farmhouse on Sunday morning, in the rocking chair in my bedroom, or on a windswept bluff at Iceberg Point here on Lopez Island. Worship for me is a time of quieting my planning, thinking, and worrying. It’s an emptying and an opening to the Divine that I too often forget to tap into in my daily life. The outward quiet supports me to connect, or commune, with the Presence that I call God. On Sunday mornings, as I notice soft inhalations and exhalations, hear chairs creak and feet rustle, I know that others are with me on this journey. At its best, the silence of worship deepens and we become aware that we have entered that invisible stream together, reminded that it’s always there, always ready to be stepped into. That is something to revere and praise. Hi Iris – I couldn't express better than this what meeting for worship is all about for me. Thank you for a very interesting article. I really enjoy reading your blog.